The International Institute of Towing and Recovery (IITR) is a non-profit organization that began in 1988 through the efforts of professional educators, towing and recovery professionals, towing equipment manufacturers and the American Automobile Association (AAA). 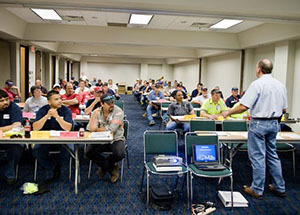 "The International Institute of Towing and Recovery's mission is to serve as a source of education and to otherwise support the towing industry in the development of tow truck operator training and to work with those in the educational field in developing programs for the specific purpose of furthering educational opportunities of those in the towing and recovery business." Many people entering the towing and recovery industry have little or no experience in operating towing and recovery equipment. Formalized training ensures they have an opportunity to learn safe, professional procedures and practices. 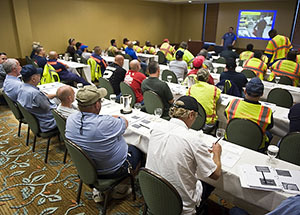 Even for experienced operators, formalized training can clarify safety rules and guidelines, operating procedures, maintenance requirements, and customer-service procedures that will help them handle difficult situations more efficiently. Proper training can help avoid criticism from motorists and public agencies concerning the way in which tow truck operators conduct themselves and operate their equipment. The proficiency and professionalism of tow operators affects the public's attitude, not only toward the individual tow company, but also toward the entire towing industry. 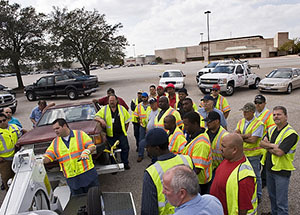 Tow truck operators are a critical part of highway incident management. They must be capable of interacting with first responders and other public-agency personnel. Their technical skills are needed to quickly and safely remove wrecked and disabled vehicles from the roadway to reduce traffic congestion and secondary collisions. The IITR course has attracted students from 46 of the 50 states as well as international representation from England, Canada, Mexico, Aruba, Japan, New Zealand, Hong Kong, and Germany. Although some may view IITR's "Towing and Recovery with Light Duty Equipment" as an entry-level course, many towing professionals with years of experience have also attended the program. They report that the program presented new ideas and practices, and was a welcome re-education of principles and practices forgotten over the years. Many say the course brought them back to the basics of customer relations, proper equipment operation, equipment maintenance and roadside safety. 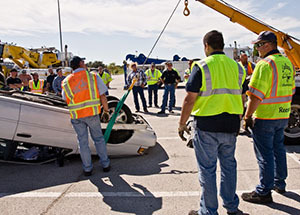 IITR's objective is to provide comprehensive training and resource materials to the towing industry. A tow truck operator can use either course and method of study to gain the knowledge needed to operate towing and recovery equipment in safe, efficient and professional manner, and to communicate more effectively with customers and public agency personnel. Either course is an excellent way for tow operators to prepare for the National Driver Certification Program (NDCP) test. An instructor-led PowerPoint presentation for the program, "Towing and Recovery with Light Duty Equipment." A self-study guide, "Towing and Recovery with Light Duty Equipment"
A Supervisor's Guide for use with the self-study course. Recovery with Light Duty Tow Trucks.